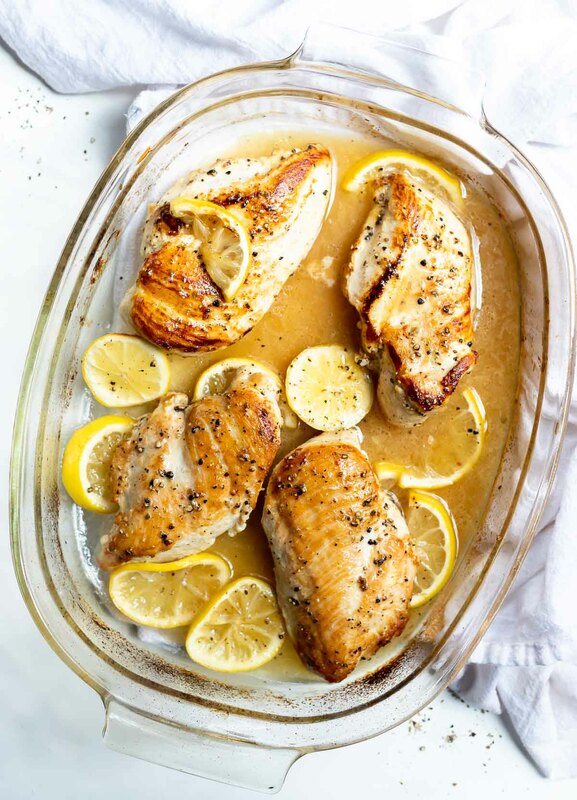 This Baked Lemon Pepper Chicken Recipe is a great weeknight dinner idea. 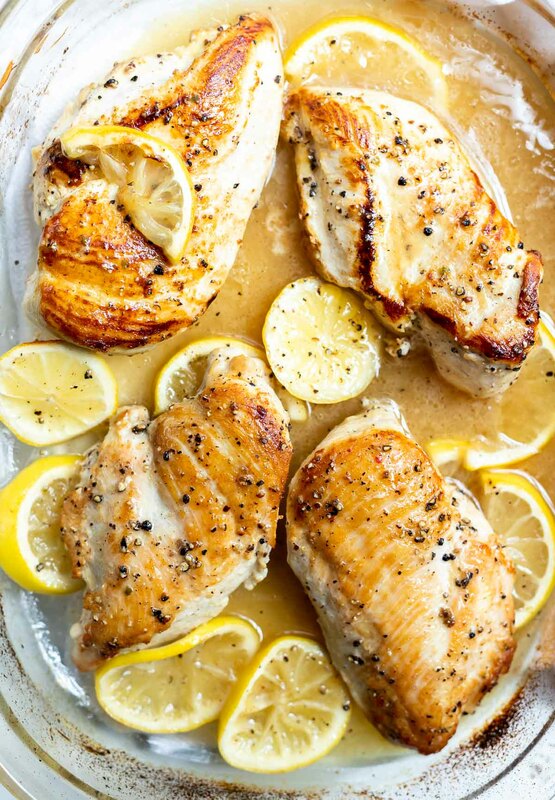 A flavorful chicken dinner that goes well with rice, pasta, vegetables or salad. 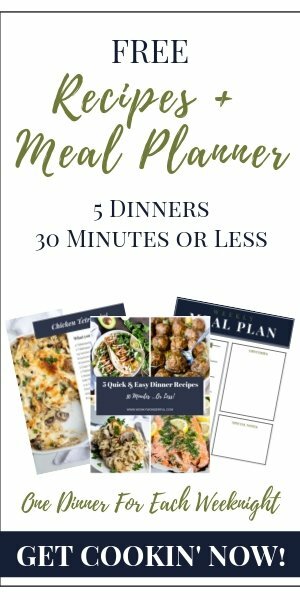 This recipe is gluten free, dairy free, Paleo with Whole 30 and Keto low carb options. This post may contain affiliate links. See my Disclosure Policy for more info. Step 3: Combine oil, lemon juice, honey, salt and pepper. Step 4: Place chicken in roasting dish, pour lemon mixture over the top. Bake until internal temp reaches 165ºF. 25-30 minutes at 425ºF. 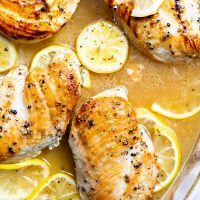 I find that baking quickly at a higher temperature makes for juicier chicken breasts. In large skillet over medium/high heat 2 Tablespoons oil then brown chicken and transfer to a roasting dish. Combine remaining oil, lemon juice, honey, salt and pepper. 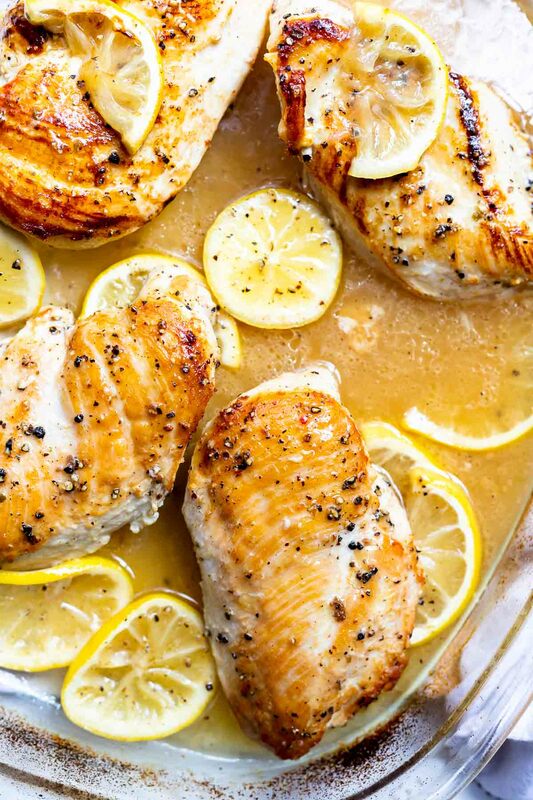 Pour lemon mixture over the top of chicken breast in roasting dish. Bake for 25-30 minutes or until internal temp reaches 165ºF. Nutritional information on WonkyWonderful is provided as a courtesy and is approximate only. We cannot guarantee the accuracy of the nutritional information given for any recipe on this site. 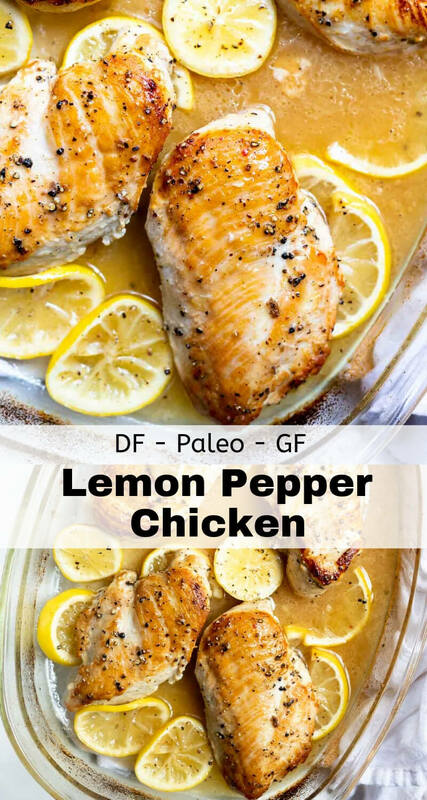 Quick, Easy & Nutritioius Recipes Sent To Your Inbox! No Spam Ever. Get Cookin'Now!